Having a fantastic website is one thing but to help build your SEO and please the big search engines, you need to be seen to be popular and to do this, you need to rank well. Links are a powerful signal that shows search engines how popular your site is and they use links as a key indicator in determining rankings. With a high-quality number of links pointing to your website you can significantly improve your position in the top search engines and be found easily by potential clients. 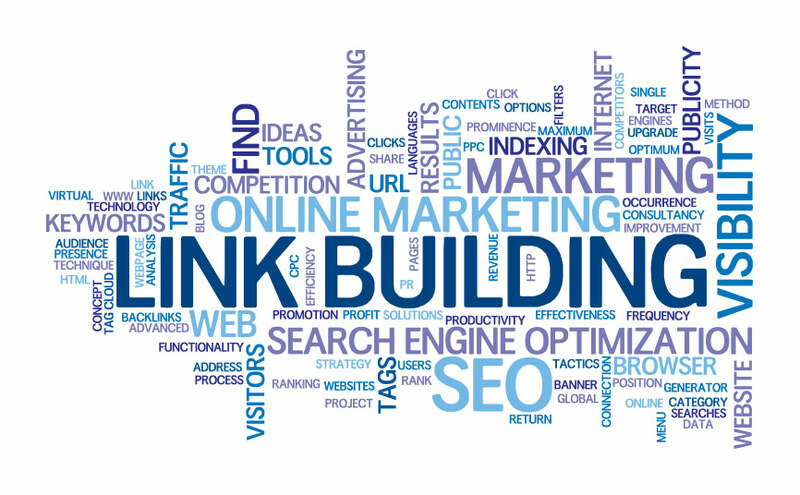 Link building is the process of acquiring links from other websites to your own. Links are the most common way for users to navigate between pages on the internet and search engines use links to crawl the web and this is how they help to determine your website’s ranking and positioning in their results. Link building is a process that many SEO professionals find the most complex and difficult and mastering the art of building high quality links is a real skill. Once search engines have crawled a website they are able to extract content for that website and add it to their indexes for ranking. From the index they are able to decide whether a page is of high enough quality to be ranked for relevant keywords and the determiners for ranking are not just the content, though it is of high importance that the content you’re putting out is of high, engaging quality, they also look at the number of links pointing to a page from other sources and the quality of those sources linking to your page. The general rule of thumb with Google and the other search engines is that links from higher quality websites give you a better chance of ranking well in search results. There are many strategies for link building which may have varying degrees of success dependent upon, as mentioned, the quality of the websites who link to you. Here are five different strategies you could consider. If you have partners or businesses you work with on a regular basis or even loyal clients and customers who would be willing to champion your brand than capitalise on this. You could put together partnership badges which link back to your site, or brand ambassador badges for loyal clients. It is very similar to giving away a branded t-shirt or mug, you are getting links back to your site from people who really do want to promote your brand. Your company blog is a powerful tool for link building and it is actually recommended by Google’s engineers. Blogs allow you to constantly put out fresh and engaging material and if you’re on the pulse then you’re going to be more engaging and you are naturally going to get more people linking to your website and content, as a means of sharing it or commenting upon it or simply highlighting it as a valuable source of information. A blog may also earn you a position on other websites blogrolls and directories, creating more links. This kind of content is very clever and takes some skill to put together. Known in the SEO world as linkbait, content which manages to bridge the gap between usefulness and humour or usefulness and truly informational can break the viral barrier. Users see this kind of content and want to share and technically minded users will do the same but through posting links on their own sites rather than simply directing people to your site. High quality, editorially earned links are highly lauded and Google and the other search engines respect them greatly as they help to build trust, authority and rankings potential in your website. The more relevant, newsworthy and up to date content you can offer, the better. Earning the attention of the press, other bloggers and news media can spell real success and earn some high value links with ease. It could be as simple as offering a freebie, an exciting new product or speaking out controversially. The latter of these should be done with care as there can be repercussions and it should only be done in line with your core brand values. Website visibility is key to ensuring you get the hits you need and then are able to convert these clicks and hits into customers. This article is really awesome. It enjoys me very much. The content are so much informative.Thank you writer for giving me such a good article Seo Baclinks Blog Commenting Service. This was so wonderful post to know the importance of SEO. I am totally impressed on your blog post!!! It is important to write engaging and well optimized content to be search engine and use friendly. You can check my content on Best SEO Training in Chennai for more details. Your blog post is really good. This is really very informative. Thanks for taking time to provide us this useful information with us. Amazing blog post. I really loved it. your article is really helpful for me in understanding the digital marketing concepts and trends in the right way. Good post. I learned about importance of link building. Thanks for sharing. Insights show that almost 80% of every single genuine website admin need linkbuilding administrations to impel their business to more prominent statures. With the expanding number of online business, this administration has turned into an essential piece of all business and it is thus that it is esteemed critical to get instructed on what it incorporates. Yes, I am in agreement with you that SEO link building is one of the important things to rank better. I know very surely that link building essential for SEO purpose to boost rank better on Google, Yahoo, Bing etc. as well. Thank you so much and please keep posting things like this. Great post, It's a very useful information, Thanks for sharing this importance of link building, keep updating your post. 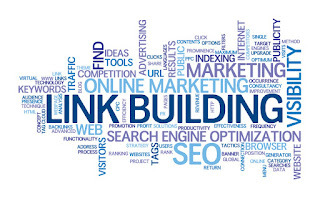 Link building is the juice of SEO without which we cannot expect much organic traffic. Thanks for sharing this with us it is a worth read. Thanks for your informative post. Your article helped me a lot to understand the future of digital marketing. Site design improvement (SEO) is the way toward finding a way to guarantee that your webpage is set higher in web index comes about than your rivals' sites. Google, MSN and Yahoo have a hang on most by far of day by day looks performed on the Internet. Search engine optimization (SEO), this feature is used to create limelight on the firms and shows up in the prominent page of various search results. This content is really useful to me to know more about the Digital marketing and keep on updating with useful content. By seeing these articles, I was excited to learn the Digital Marketing Course. Very useful blog to implement. Amazing resources. Search engine optimization (SEO) is the process of improving the visibility of a website or a web page in search engines.In general, the higher the page rank, frequently more people visit the site thereby increasing the traffic to the site.FIXXGROUP LLP offers seo plans india, low cost seo plans in bangalore. Really really nice post. Thanks for sharing such type of good articles. i regularly read your all post related to digital marketing. I have working with Digipanda consulting, Best SEO Company in Noida as a Digital marketing manager. Nice post. Thanks for this useful information. I think this is the best article today about the importance of link building. Thanks for taking your own time to discuss this topic, I feel happy about that curiosity has increased to learn more about this topic. Keep sharing your information regularly for my future reference. I have found many useful information and news about this topic. Well, Good Job and keep it up. This idea is mind blowing. I think everyone should know such information like you have described on this post. Thank you for sharing this explanation.Your final conclusion was good. Thanks for the complete guidance on link building. Hope your article has reserved a unique place among blog readers. Every point in your content is a valid one regarding SEO. Thank you admin. Awesome and interesting article. Great things you?ve always shared with us. Thanks. Just continue composing this kind of post. Great information for Organic SEO.This is totally very helpful for us. Thanks for sharing the great information about Organic Google Search Result. This is very helpful for seo. With increased competition, constantly changing algorithms and search engine rules, Search Engine Optimization (SEO) now requires much higher expertise to handle it. Having realized this fact, many marketing companies like web developers, PR firms, web hosting companies, etc. - all which used to carry out their clients SEO processes (along with their specialized services) by themselves, now agree that SEO is a process that is better left to the specialists in the industry, thus, relieving the MRC SEO Consulting Red deer off their shoulders. This has given rise to SEO reselling. Thanks For complete data of Link Building. Shine Ads-Branding, Advertising, Digital Marketing Company loated in Chennai.Shine ads clinches precise SEO strategies to tune organic traffic into money and also to bring the right audience to your website. Thanks for sharing the information. This blog have the details of Processes running. The way of running is explained clearly. The content quality is really great. The full document is entirely amazing. Thank you very much for this blog. We are SEO company in delhi offers quality SEO services. We can guarantee you enhanced website rank, web visibility, quality Click Through Rate (CTR), SERP (Search Engine Ranking Page), Conversion Rate Optimization, and boost in organic leads. Here, i have understood the full strategy of SEO link building. Thanks for sharing the useful post to build high quality links. Nice Blog, Thanks for sharing this valuable one. Thank you for sharing this wonderful information. Keep up the good work.